A vacation on a ranch means access to a diverse choice of activities, including fly fishing, horseback riding, cattle drives and other exciting adventures. 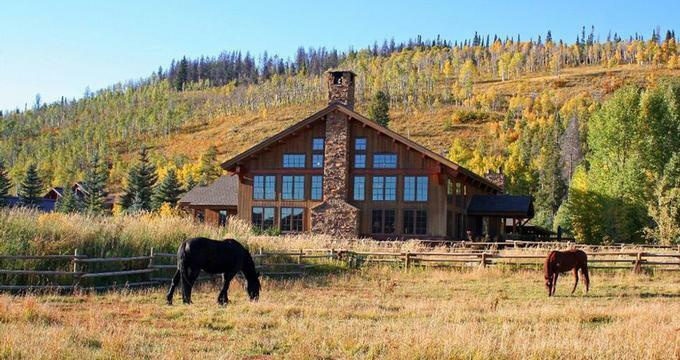 Our list of top 10 includes working dude ranches and luxury country lodges in the United States. According to the Dude Ranchers' Association, fall is a great time to plan your trip. You will find great deals, cattle drives and stunning fall foliage displays. If you decide to go during the busy summer season, be sure to reserve your spot well ahead of time. Families return to their favorite ranch year after year and some book their stay a year in advance. Honeymooners who love the outdoors have a choice of ranch getaways which offer cozy honeymoon cabins and other romantic touches. Rates vary, ranging from $100 per night to $300 or more. Meals and activities are usually included, but be sure to ask before you book. Plan a family adventure at Vista Verde, a working Colorado dude ranch, to get in touch with nature, eat delicious food and try a range of activities. In the summer, there is horseback riding, fly fishing, hiking and biking on the 500 acres. In the winter, enjoy snowshoeing, backcountry skiing and track skiing on 30 km of groomed trails on your family adventure vacation. The Spa Building houses the fitness room and an outdoor deck with a hot tub. Several programs at the ranch were designed especially for families, such as family-friendly river rafting and kayaking, and a daily program for kids and teens with trained wranglers. The ranch offers private cabins and lodge rooms. 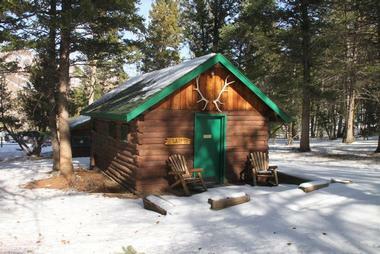 The cabins are furnished in western style with lodgepole pine beds and handmade log furniture. The cabins have private hot tubs outside on the deck. 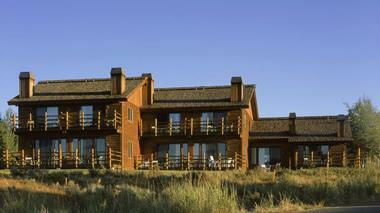 The three lodge rooms, located in the main building, feature handmade furniture, western art and balconies with a view. The chef prepares three delicious meals daily, included in the rate. If you would like to learn how to prepare some of the dishes served at the ranch, you can attend cooking classes. All-inclusive Sunday-to-Sunday weekly rates start at $3,700 per person plus tax and gratuity. Children's rates are $600 lower (800-526-RIDE). 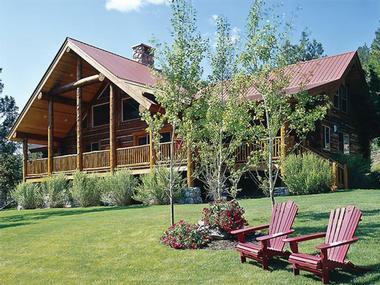 Wapiti Meadow Ranch is an adventure getaway in Idaho, surrounded by beautiful mountains, trees and streams. The ranch is a perfect destination for fly-fishing enthusiasts because it is surrounded by 50 miles of freestone streams. The lodge is located next to one of the largest Wilderness areas in the U.S. You can fish for salmon in the Middle Fork of the Salmon River. There are nine lakes in the area which can be accessed by foot or via 4x4 trails. 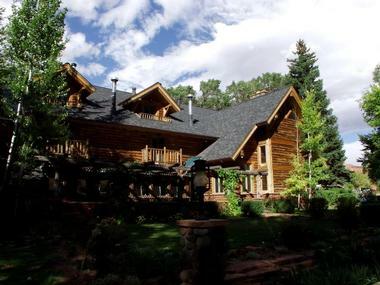 The property is a dream come true for fly-fishermen, it does not end there. Activitiesinclude hiking, photography tours, panning for gold, mountain biking and wildlife tours. If you are not a fly-fishermen, you can watch wild Idaho salmon and trout migrate around mid-July in the stream that flows through the ranch. The Salmon are born in the stream, mature in the Pacific Ocean, and make a return trip each year to spawn again in the stream. Guests are accommodated in private guest cabins with a separate bedroom, a modern bath, large living room and a fully equipped kitchenette. Daily rates start at $100 (208-633-3217). The 30,000-acre Cibolo Creek Ranch is located amidst the Chinati Mountains of southwest Texas. There is a seemingly endless variety of vacation activities. The staff can help you coordinate you daily plans, choosing from activities at the ranch as well as nearby excursions. Activities include: horseback riding, hiking, fishing, archery, paddle boats, mountain biking, bird and bat watching, vehicle tours, stargazing parties, and an overnight cattle drive. Guest rooms are spread across three historic fort sites: El Cibolo, La Cienega, and La Mortita. All of the spacious accommodations are individually designed and uniquely furnished, and have down comforters, hand-stitched quilts, and fireplaces. Dining is an experience to be remembered. Guests are served various dishes including venison, antelope, wild boar, fresh citrus fruits, chipotle chile powder from El Paso, corn tortillas and beer from Mexico. Signature dishes to try include grilled honey and chile glazed quail, sea bass Veracruz style and tres leches cake. Guests can have their meals served in the fort dining rooms, poolside or on the verandah. The property is a 3.5-hour drive from El Paso International Airport. The ranch also has a private airstrip for chartered and private aircraft. Rates start at $350 per night (432-229-3737). Spectacular mountain vistas, a natural hot springs swimming pool, a log lodge and cabins make the Idaho Rocky Mountain Ranch an excellent adventure vacation idea for couples. The are 21 accommodations, all with handcrafted furniture and private baths. The Honeymoon Cabin and 16 other duplex style cabins have rock fireplaces, and several have interior connecting doors that can be opened for groups. 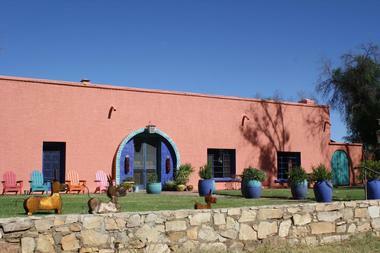 The Rancho De La Osa is an intimate ranch in Arizona. It's hard not to relax and enjoy the tranquil surroundings at the ranch, especially with no televisions and radios in sight. Activities include swimming in the heated pool, horseback riding, hiking, mountain biking and croquet. You can even take a cooking class and indulge in relaxing massages during your stay. There are 18 guestrooms, each individually decorated with Mexican antiques, private bath and a porch. If you are planning a romantic trip, ask for one of the rooms with a wood burning fireplace. The Hacienda, built between the 1830s and 1860s, houses the dining room and four comfortable salons with fireplaces. With walls that are more than two feet thick, the Hacienda remains cool throughout the day. Meals are included in the cost of your stay, so that you don't have to worry about budgeting meals into the cost of your vacation. Guests are served traditional gourmet Southwestern meals, including ranch favorites like lemon pinon chicken, filet mignon with a delicate spice rub and fresh mango salsa, and grilled Tilapia (farm raised fish) with almond butter sauce. For desert, there are choices like chocolate decadence, espresso creme brulee and margarita pie. The property is located in the high Sonoran Desert near Tucson. Fly to Tucson where you can rent a car. Rates range from $240 per person per night for a Classic Deluxe Room to $400 per person for a Territorial Suite. The rate includes meals and most activities (800-872-6240). 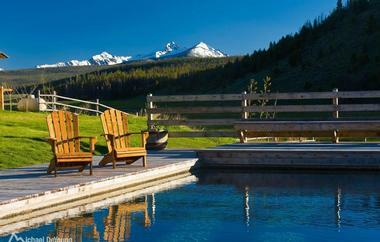 Paws Up is a luxury getaway surrounded by 37,000 acres of Montana wilderness and the Blackfoot River. Guests are accommodated in elegant homes and upscale tents for two to six people. Activities include 100 miles of hiking, mountain biking, horse and ATV trails. There is also fly-fishing, tubing, kayaking, whitewater rafting, bird and wildlife watching, and sporting clay shooting. In the winter, try snowshoeing, cross-country skiing, and snowmobiling, sleigh rides with ice skating, ice fishing and dog sledding. The Spa provides a great way to relax in a natural setting. Situated hillside above the resort, the spa offers an array of treatments in a calm setting, surrounded by the woods and nature. The property can accommodate up to 80 guests in private cabins, homes and tents, decorated in luxurious western style with soft brown leather couches and hard-picked art. There are two restaurants at the resort: the Cook Shack serving continental cuisine with a Western flare and the Tank and Trough Bistro with a more casual menu. The resort is located 30 minutes east of Missoula in western Montana. Guests can fly into the Missoula Airport, which can be reached aboard Delta through Salt Lake City, Northwest Airlines through Minneapolis, United through Denver, and Alaska Air through Seattle. The hotel can arrange airport transfers, which are complimentary. Rates for homes start at $495 per night; Tent City rates start at $450 per night. Rates include airport transfers and one complimentary guided horseback or ATV tour for each guest. Full American Meal Plan (3 meals per day) rates are as follows: adults - $85, children ages 6-11 - $45, children 5 and under are free (406-244-5201). 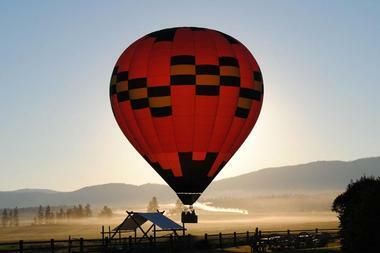 Montana is a diverse destination, especially popular with nature lovers. Take a scenic drive past beautiful lakes and mountains, take a rail tour, go birdwatching, wildlife watching and visit state parks. Rail Tours include awesome views of the Rockies, the Great Plains, rivers, valleys and Wild West towns. You can get started by downloading the free audio tours and accompanying maps from the Official State Travel Site. Audio tours include southwest Pintler Scenic Highway, historic Butte and Virginia City. Montana is a starting point to exploring the famous Glacier and Yellowstone National Parks. Yellowstone is home to colorful geysers, scenic rivers and valleys, as well as diverse wildlife. Summers are a busy time, so try to get to the park entrance early in the morning to avoid waiting in a line. If your schedule is flexible, visit in May or September which tend to be quieter. There are also many great state parks which you can visit in the spring, summer and fall, featuring stunning scenery, birdwatching, kayaking, hiking, mountain biking, swimming and more. In the winter, there are numerous ski resorts to choose from, where you can go cross-country skiing, downhill skiing, snowmobiling, dog sledding, snowshoeing, romantic sleigh rides and more. There are seven great Indian Nations where visitors can view museum exhibits and join cultural history tours. 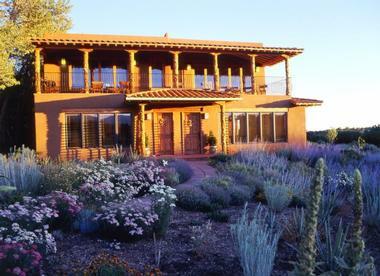 Blue Lake Ranch Bed & Breakfast is a secluded romantic getaway set on 200 acres, 15 minutes from Durango, Colorado and 30 minutes from Mesa Verde National Park. If you are looking for affordable mountain getaways, take a look at this unique bed and breakfast. The ranch has its own lake filled with trout and spectacular flower gardens with fields of daffodils, Flanders poppies, honeysuckle, tulips and lilacs. In summer, guests can see 10,000 iris bloom all around. Guests are accommodated in several cottages and houses located on the property. If you are planning a family reunion, try the Spring House which has a gas fireplace and wet bar, and can accommodate up to 12 guests. 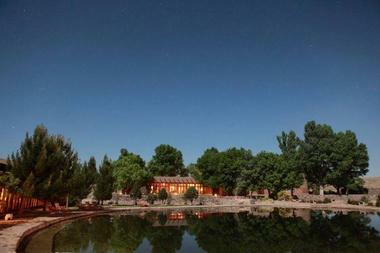 The Lodge at Red River Ranch is a couples' getaway in the Southwest. Offering 15 individually decorated guest rooms surrounded by 2,000 acres of wilderness in Utah, the property is a beautiful hideaway for the active couple. The architecture is inspired by the grand lodges of the West, featuring rustic log construction and elegant furnishings. The Great Room is three stories high and offers plush chairs for relaxation next to the huge floor-to-ceiling Anasazi-style fireplace. There is a piano and a game corner where you can hang out in the evenings. The UXU Ranch is located 35 miles west of Cody, Wyoming. A week-long stay at the ranch is an excellent idea for large family reunions. Enjoy one week of unlimited horseback riding, mountain biking, a trip to Yellowstone National Park, and there is even golf nearby. Fly-fishing in local waters with a guide is also included in the weekly rate. At the end of the day you can rest your weary bones in the hot tub or sauna. There are ten one to three bedroom cabins all with down comforters, private bathrooms, and a sitting porch. Some of the cabins have fireplaces or gas stoves, and two deluxe cabins overlook the Shoshone River. Three full meals per day are included in the weekly rate. The restaurant serves regional cuisine and has a wine list of over 70 wines, mostly from the West Coast. The easiest way to reach the ranch is to fly to Cody, Wyoming where the ranch can arrange for airport transportation. All prices are calculated based on a one week stay (Sunday to Saturday). The rate for adults (anyone over 14 years old) is $1,695 for the first person and $1,595 for the second person. Children ages 1 - 13 pay $995. The ranch does offer rates on shorter stays if there is availability. The season lasts from June 1 to September 30 (307-587-2143). Spring Creek Ranch in Jackson Hole, Wyoming, is a spa destination for adventure enthusiasts who like the outdoors as well as luxury amenities such as a health spa, fitness center and turndown service. If you are planning a family getaway, the property offers condominiums and homes of various sizes. Summer activities include hiking in Grand Teton, fly fishing, climbing, float trips, golf, horseback riding and tennis. In the winter, choose from three ski resorts, heli-skiing, sleigh rides and ice skating in Jackson. The ranch offers rooms at the inn, condominiums and homes. 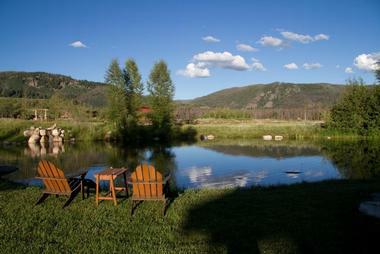 The inn rooms offer beautiful views of the Teton Range and a pond. The rooms have a wood burning fireplace and a balcony or patio. The condominiums have wood burning or gas fireplaces, balcony/patio, and full bath. Different sizes and configurations are available. Granary Restaurant is open for breakfast, lunch and dinner. Room rates start at $150 per night at the inn; from $160 for a condominium. In summer and winter rates are higher than in the spring and fall season (307-733-8833).